Just delivered in Escondido CA, a rush order for a cozy Langston Sofa Chaise Sectional in custom sizing: 151″ long and the sofa portion is 48″ deep! Brompton Cocoa is a great leather that, like a good baseball mitt, requires some break in. We’re sure these customers will have no problem with that! 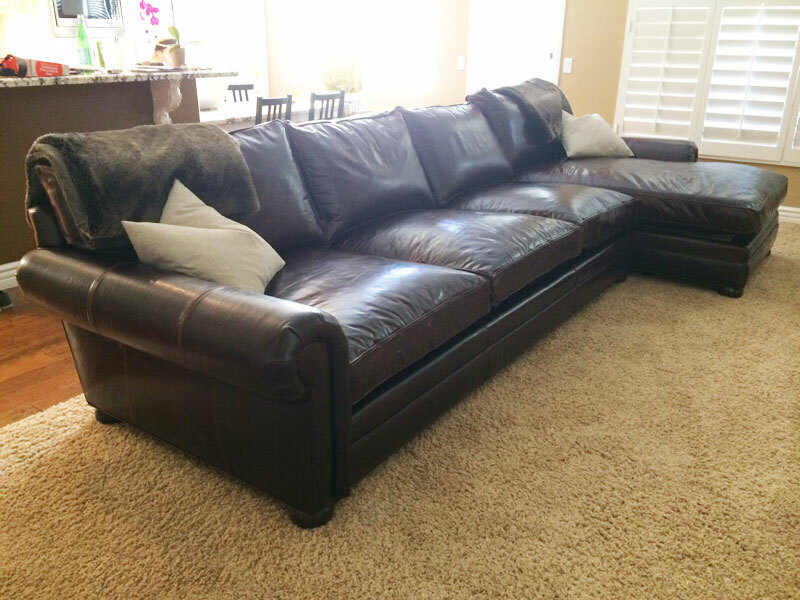 This entry was posted in Custom Leather Order Feed, Langston and tagged 48" Deep, Brompton, Brompton Cocoa, brompton cocoa mocha, custom length, lancaster leather collection, Lancaster Leather Sectional Sofa, langston collection, Langston Leather Sectional, langston sofa chaise sectional on March 5, 2014 by LeatherGroups.